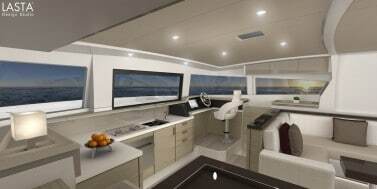 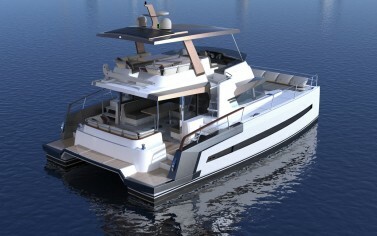 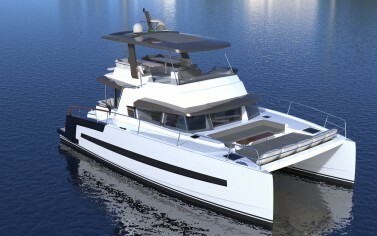 A unique and revolutionary catamaran with a high level of sophistication and innovation. 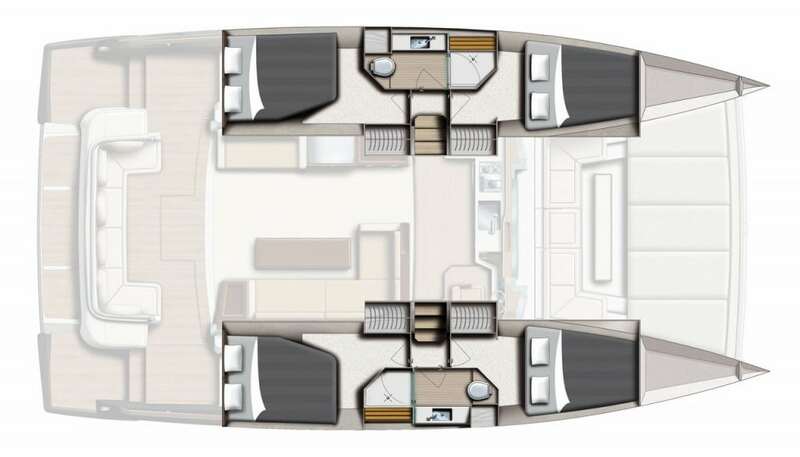 The Bali 4.3 MY is again characterised by the large flush-decked saloon and aft cockpit with it’s full-width retractable glazed door and keeping the whole area completely free of bulkheads. 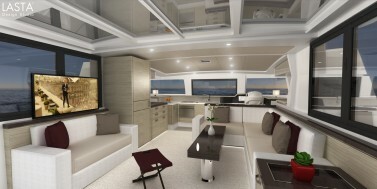 She can transform from cosy saloon to open space in a moment, with the press of a button. 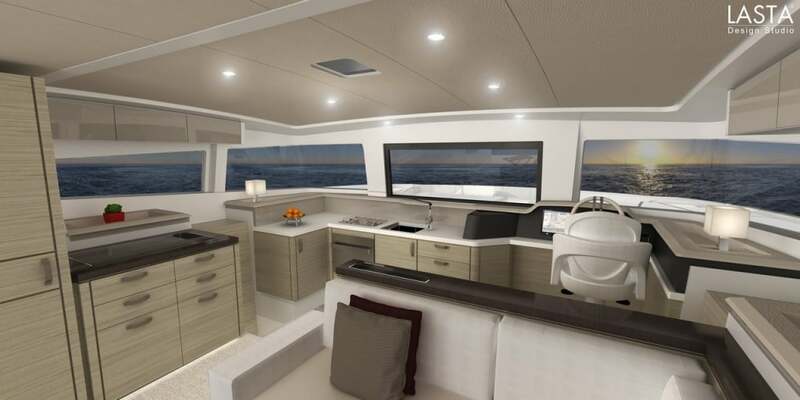 She offers the best panoramic views over the sea. Relax inside or out – full sized living spaces including a large forward cockpit and dining area combined with a superb 18sqm sunbathing area in place of the old style trampolines. 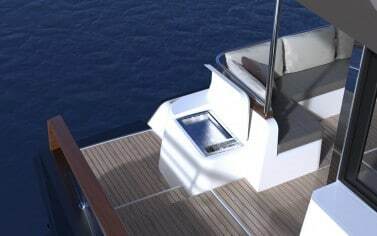 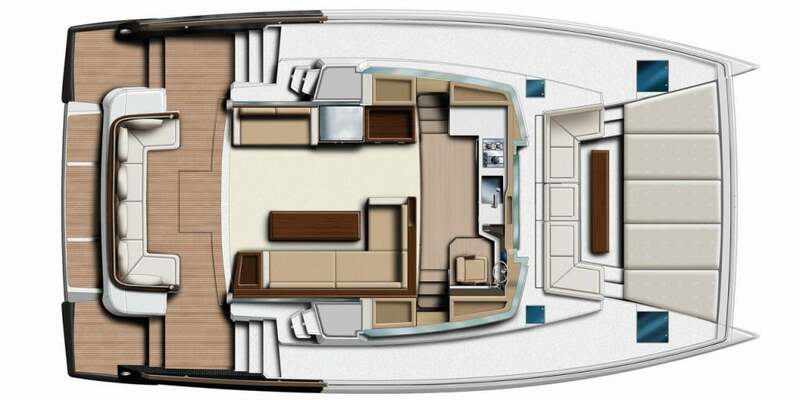 Extra spaces everywhere with the massive saloon, lounge table and great sunbathing and seating areas on the upper deck. 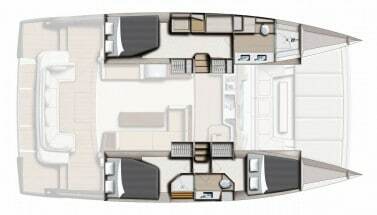 The 4.3 MotorYacht is the epitome of inside/outside living in complete comfort; modern design combined with carefully selected materials give the Bali 4.3 MY an elegant, refined and purposeful appearance and style akin to the best traditions of the trawler yachts. 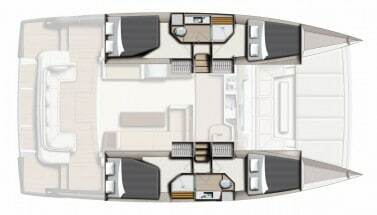 Like her sailing siblings from the Bali stable, she has all the innovations that have made the range so successful. 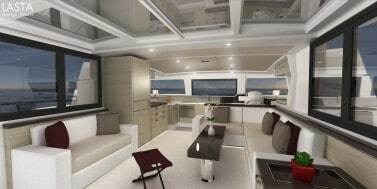 They remain unrivalled in their class. 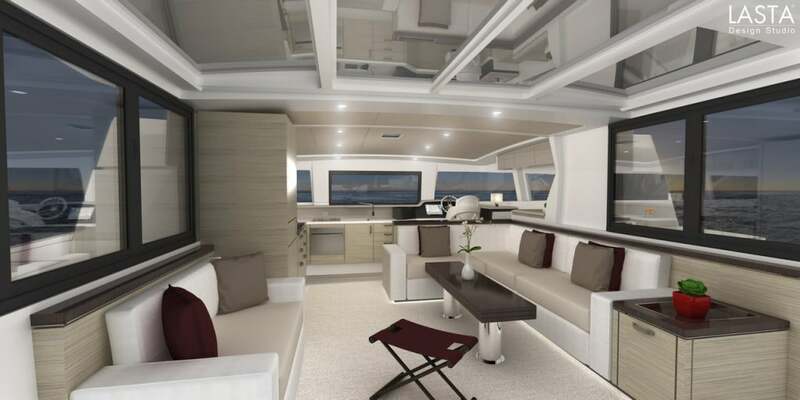 A perfectly practical design, with aft lounge cockpit – a wide terrace to entertain on and easy access to the upperdeck, this is a great catamaran to spend a lot of time on with friends and family. The upperdeck is fully equipped together with an advanced helm station worthy of much larger vessels. Below decks is a dream with comfortable cabins en-suite bathroom and masses of storage. 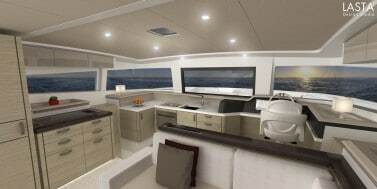 This catamaran is fast, comfortable, sea kindly and capable of long passages.